Rodolphe Le Meunier selects the best cheeses in cheese dairies with ancestral know-how. He makes regular visits to producers to exchange ideas and taste the fruit of their work. The cheeses are then sent to our maturing cellars to develop their flavors and acquire their final texture. Each cheese has its own history, character and specific characteristics. The art of affinage (cheese maturing) requires solid knowledge and experience. Rodolphe Le Meunier strives to find the perfect level of maturity that will reveal the balance of a unique taste on the palette. The cheeses are lovingly cared for, examined from every angle, turned, washed, brushed, and so on. This is a job that requires precision and patience. How to plan a cheese reception ? 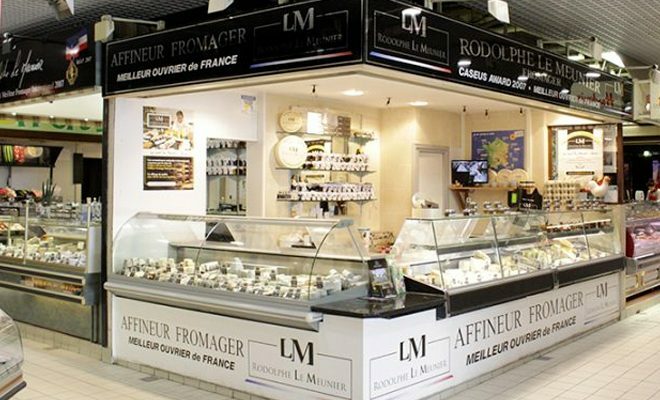 The Fromagerie Le Meunier has hundreds of points of sale, both in France and throughout the world. In direct contact with customers, the Fromagerie Le Meunier uses its market knowledge and expertise to meet consumer expectations. It also has strong partnerships with food professionals (restaurants, delicatessens and supermarkets). The Fromagerie Le Meunier has a logistics platform in Rungis. Every week, this platform receives thousands of cheeses that are then sent all over the world. 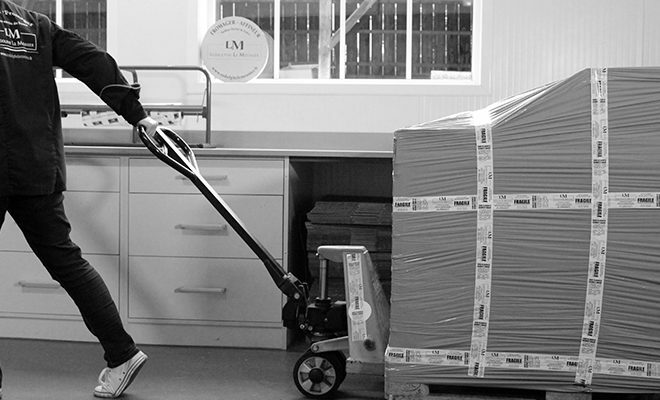 The Fromagerie Le Meunier has a vast network of international distributors and controls shipping to destinations including the United States, Japan and Australia. 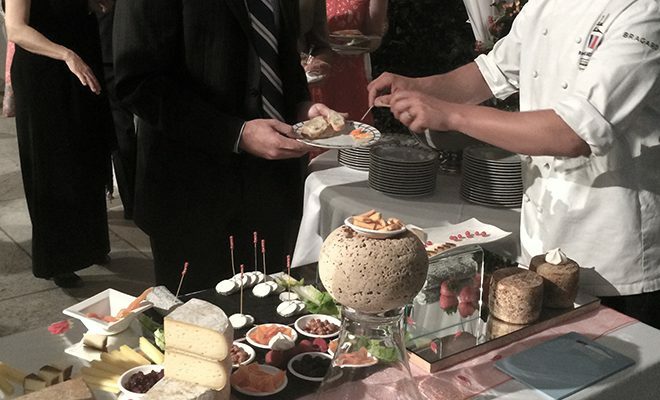 Cheese bar, buffets with culinary events, dinners, etc. - the Le Meunier team is here to put all its know-how at your service to turn your events into unforgettable moments.